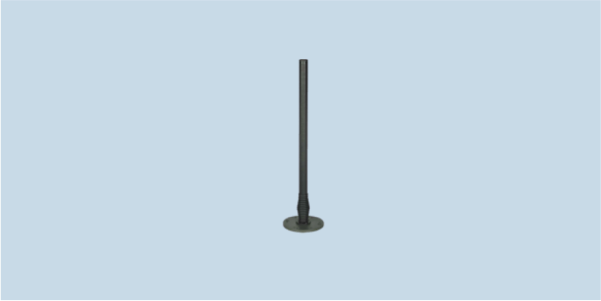 HD827XM is a high-gain high-power wideband antenna designed for vehicle communications and counter-RCIED applications in the 790 - 2700 MHz frequency range at up to 175W total. HD827XM is a groundplane-independent high-gain antenna covering the worldwide cellular communications frequecy bands. This rugged spring-interfaced antenna can handle up to 175W total RMS power and mounts with the standard US four hole or 3/6 hole NATO pattern. The antenna can also be affixed to masts using the MS1 mast mount adapter.